" Quiet and the digital is very helpful also. Would encourage others with serious BiLevel needs to consider. " " Been using this for almost a year now. This is my 5th machine and the best I've had so far. It's travel friendly also. " The S9 VPAP Auto is the next generation model for the S8 VPAP Auto 25. This Bilevel machine provides an automatically adjusting pressure stream for inhalation, and another for exhalation. S9 VPAP Auto is an improvement over the S8 VPAP Auto 25 by including ResMed's Enhanced Easy-Breathe technology along with the included H5i with Climate Control, and optional ClimateLine heated tubing. 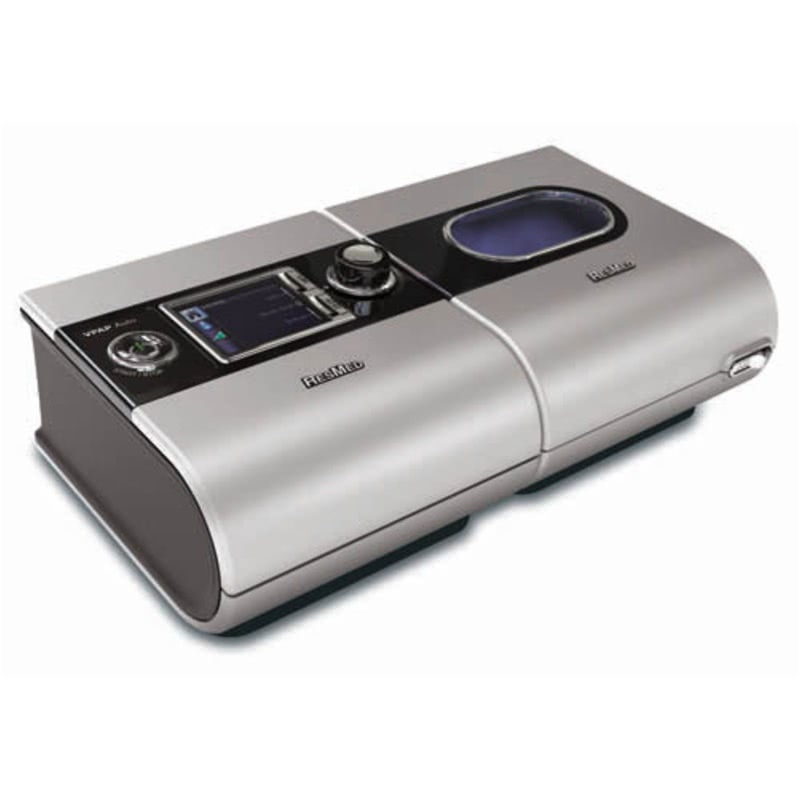 At its core this bilevel machine automatically adjusts inhalation and exhalation pressure on a breath by breath basis to keep the airway open. 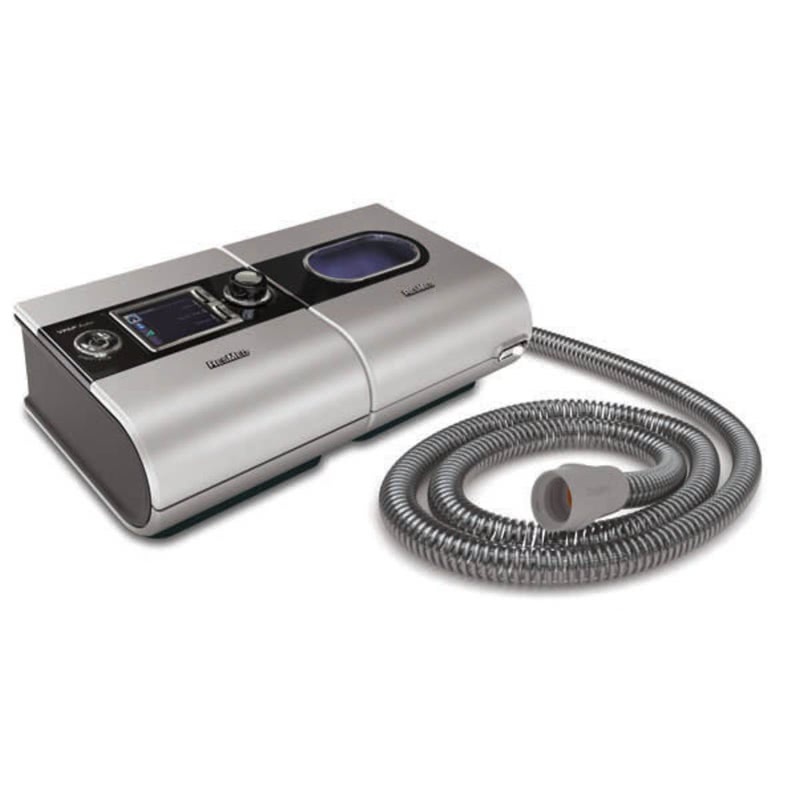 This model improves on the S8 VPAP Auto 25 model by providing more comfort features that make breathing and adjusting to pressure changes easier, reduce sound to the machine user and bed partner, maintain set temperature and humidity levels despite changing room conditions. Enhanced AutoSet Algorithm. This technology continuously monitors breathing in order to adjust the inhalation and exhalation pressure on a breath by breath basis to maintain an open airway. Enhanced Easy-Breathe Technology. This technology makes the transitions between inhalation and exhalation pressures smoother allowing the user to more easily adjust to pressure changes. Climate Control Humidification System. This system uses the ClimateLine heated tubing to maintain the set temperature and humidity levels despite changing room conditions. Quieter Motor. The improved motor design sends less sound down the tubing and through the mask for the machine user and is also less audible to the bed partner. Digital Display & Push Dial. The digital display and push dial make establishing and changing settings easy along with viewing previous nights therapy data. Enhanced Vsync Technology. Vsync monitors leak rate through out the night and compensates for leak detection by adjusting the baseline pressure as needed. TiControl Feature. TiControl is an additional setting that can accommodate individual respiratory conditions by improving the synchrony between the user and the device. The DC Converter 24V/90W For S9 Machines allows this machine to be used with battery power. 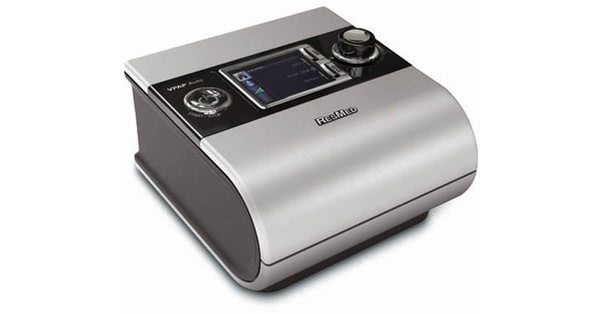 Tubing Options: ResMed's S9 VPAP™ Auto BiLevel Machine has a number of tubing options. The SlimLine 15mm tube is a non-heated tube in a thin, flexible style. The machine can also be used with an OPTIONAL heated ClimateLine Tubing which integrates with the machine and H5i Heated Humidifier to provide increased humidification and reduced chances of rainout. The ClimateLine is available in two diameters. The SlimLine 15mm ClimateLine Tubing and a standard diameter 19mm ClimateLine Max Tubing. Additionally a standard diameter, non-heated tube may be used. 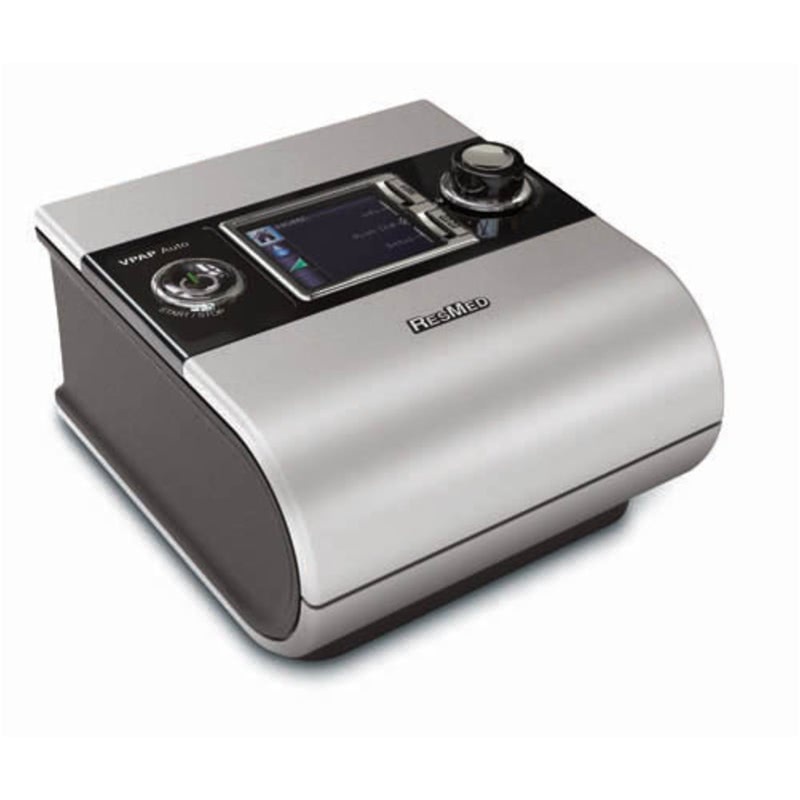 The following information is applicable for the ResMed S9 VPAP Auto alone or with a heated humidifier. Keep in mind that using a heated humidifier will reduce the run time of the battery by approximately one half. DC capable: Use the DC Converter 24V 90W For S9™ Machines to operate the S9 VPAP Auto from a DC power source (battery). The Freedom Travel Battery Pack weighs only 1.7 pounds and is light enough to be carried anywhere, providing hours of CPAP therapy-- even off-the-grid. The Freedom Travel Battery is designed for any traveler, from true road warriors to anyone going on a vacation. PLEASE NOTE: The Resmed 24 Volt Power Converter Kit (sold separately) is needed to connect the S9 to the Freedom Battery.